Auntie. 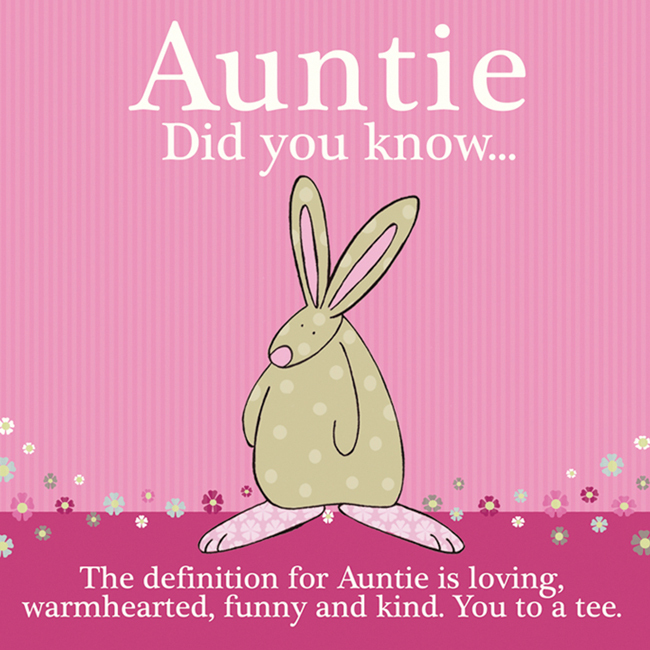 Did you know ... the definition of Auntie is loving, warm hearted, funny and kind. You to a tee! Need an Auntie greeting card by Rufus Rabbit to honour the awesome female in your life? If so you have come to the right place! Rufus Rabbit feels it is very important to acknowledge all the important people in a little one’s world. We print our cards in the UK on forestry sustainable board. Each card comes with a white envelope packed in a cello bag. Whilst you are here, please do feel free to enjoy Rufus’ funny bunny blogs Am I mum or a mouse?